Eclipse Comics | Ty Templeton's ART LAND!! NEW: PAGES FOR SALE! LEE WEEKS! THE NEW WAVE! 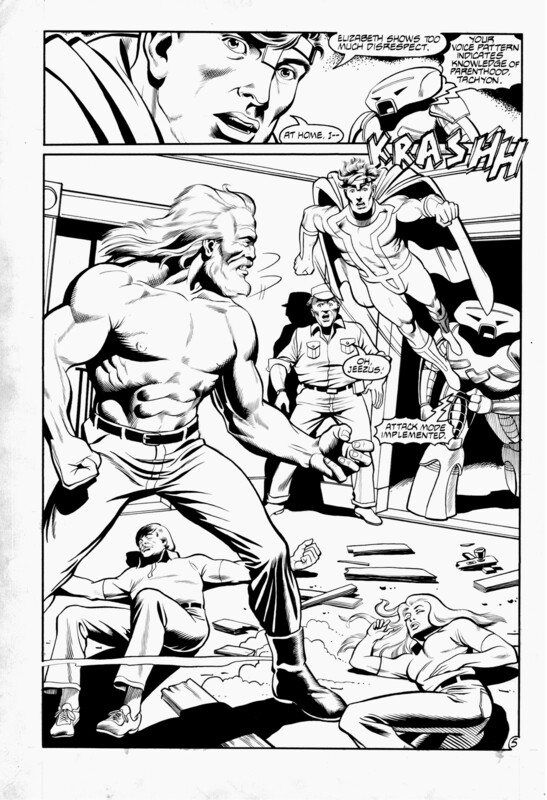 I’m trying to get into the habit of posting original art pages for sale on Mondays, and today’s pages are from a really fun, but slightly obscure gig I did with Lee Weeks back when the Earth was still cooling. 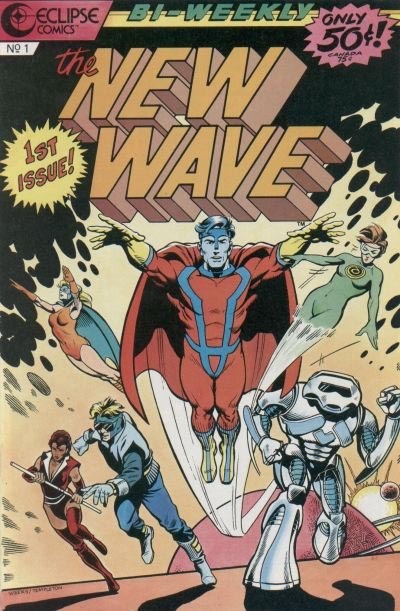 It was called “The NEW WAVE” and it was meant to launch a new bi-weekly comic universe for Eclipse Comics back in the early nineties. We did twelve page comics every two weeks, for half price. 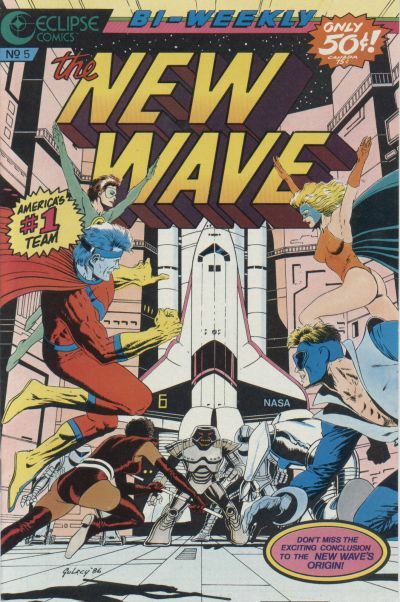 (Comics were a buck a pop back when the Earth was cooling.) Not a bad idea in practice, sort of a revival of the “Nickel Comics” idea from Fawcett back in the golden age…. Weeks was already showing his future promise with these pages we did together, his Buscema influence in clear evidence throughout. Of course, nowadays Lee is one of the best illustrators in the biz, doing some of the best Avengers, Spider-Man and Marvel comics of the last ten years. But I knew him then…And now so can you. Check ’em out. Clearing out the overstuffed original art bin of pieces that might accidentally be topical again. 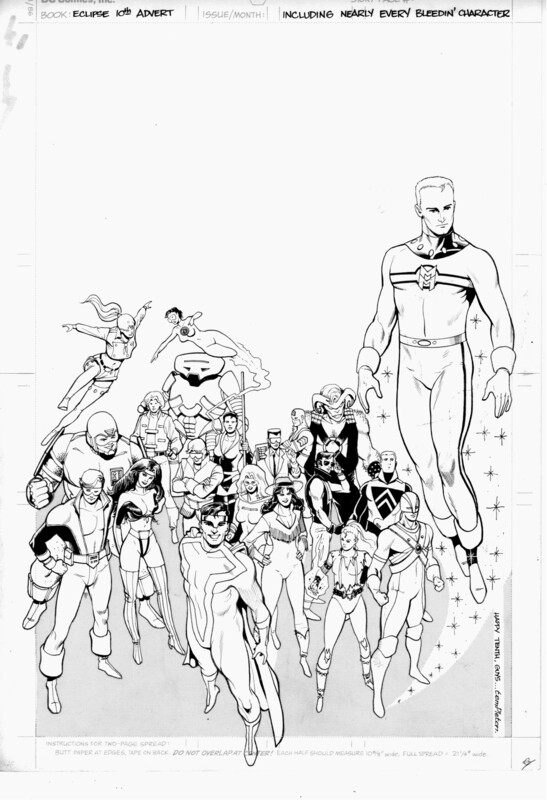 Here’s a house ad that ran in Eclipse books during their tenth anniversary year…besides featuring a host of characters you don’t remember, or will ever hear of again, there up top is Marvel Comics newest corporate asset super-hero, MARVELMAN! (Or Miracleman as he was known in his anything-to-avoid-a-lawsuit days back when I drew him for this assignment.) 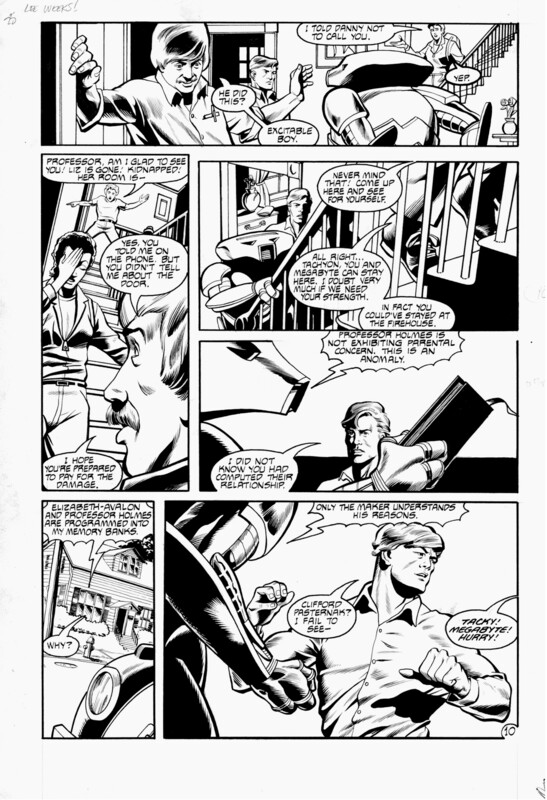 Working for Eclipse in those days was an interesting experience…I spent ten issues inking a brand-spanking new penciler named Lee Weeks (Whatever happened to him? I hope he’s still in the biz, and doing well)…as well as inking the first published story for Erik Larsen, and a few others. PLUS: it was my first regular paycheck as a comix creator, and around the time I seriously thought about doing this for a living. It was WAAAY better than lifting boxes. Ty the G. Back to drawing my Mad pages so Mr. Viviano don’t get actually mad.